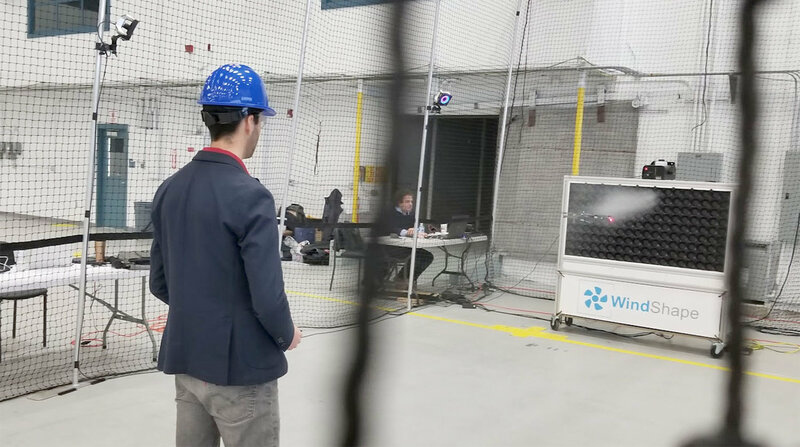 WindShape, a startup from our lab, in partnership with the New York State UAS Test Site, TruWeather Solutions and the NUAIR Alliance, used industry-leading micro-weather stimulations to test the impact of wind on the air worthiness and performance of various types of unmanned aircraft systems (UAS) platforms. The testing took place at the New York State UAS Test Site at Griffiss International Airport, in Rome, New York. “The weather test performed by Windshape in conjunction with TruWeather Solutions and the NUAIR Alliance is a prime example of why Oneida County’s Test Site at Griffiss International Airport is on the forefront of revolutionizing the UAS industry,” said Oneida County Executive Anthony J. Picente Jr.